www.rnh.comOn October 27 a new entry in cyberspace, www.rnh.com, brought the writers, songs, musicals and concert works of The R&H Organization onto the World Wide Web. Launched the week of the highly touted ABC broadcast of CINDERELLA (see accompanying article), and featuring a special page devoted to CINDERELLA for that week only, www.rnh.com received national attention, with write-ups in the New York Times, USA Today and elsewhere. By the end of its first week the site had received 420,000 ""hits,"" translating into more than 60,000 dedicated visitors. ""We were blown away by the traffic rnh.com received,"" said Michael Diamant, a partner in T3 Media, the website manufacturing firm that designed and built the site. ""On the other hand, we shouldn't have been surprised. It's a dynamic site, and once people try it, the amount of data and the way it's distributed is pretty irresistible to the browser."" Added Diamant: ""Being selected as a 'Cool Site of the Day' by Infinet [the industry's standard review panel] is highly prestigious and, frankly, most sites only get it after long periods of pitching and lobbying. But this site got it instantly [November 2], and we are extremely proud of that."" While T3 Media has built some massive sites for other theatre-related clients, the R&H website grew into the firm's largest data-supported site of its kind. ""We were as surprised as I think everyone is, when they first encounter Rodgers and Hammerstein,"" said Diamant. 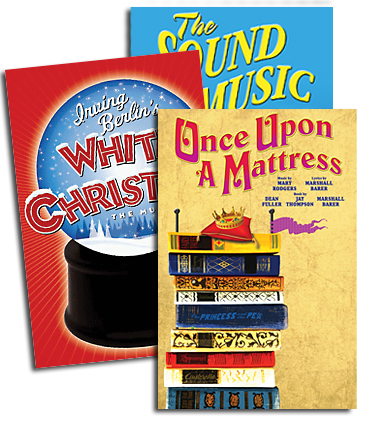 ""Sure it's OKLAHOMA!, THE KING AND I and THE SOUND OF MUSIC. But they've also got Irving Berlin, Cole Porter, Kurt Weill - and let's not forget Elvis. Our challenge was to work with their team to build a site that could be easily navigated, yet comprehensive. Being a house founded by writers,"" Diamant added, ""they always made it clear to us that writers had to be the driving logic behind every internal decision."" 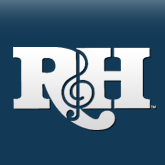 To be ultimately successful, www.rnh.com needs to function as both an educational reference center for fans and students of the musical theatre, as well as a business resource for producers, directors, performers and orchestras interested in our musicals, songs and concert works. Oscar Hammerstein II once said that the most important word in theatre is ""collaboration,"" and that the ultimate collaboration is between a performer and his audience. Likewise, our website is nothing but another blip in cyberspace without you, its hoped-for visitors."